Last autumn I was contacted by a writer, Lisa Abend from AFAR Magazine, who wanted to interview me in an article about cycling in Copenhagen. That in itself is not unusual. My life is a steady flow of interviews, which is great. Her angle, however, was unique. 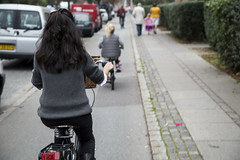 An American woman in her 40s who was frightened of cycling in the safe, bicycle city that is Copenhagen. 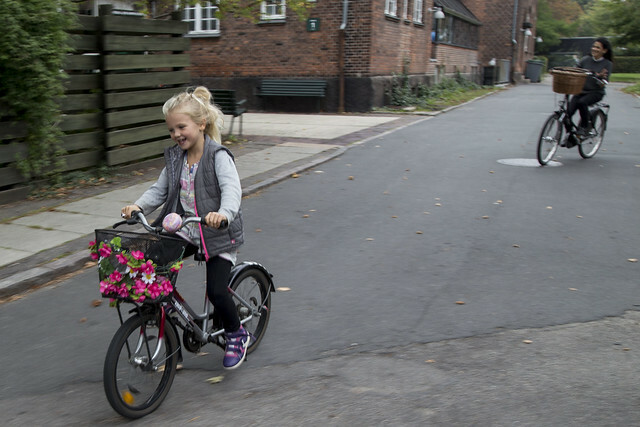 Her perception of cycling is a personal one, with its roots in an episode in her youth. Fair enough. Fear can be powerful and lengthy. She asked me to help her tackle it and get her up to speed in her new, adopted city. She has penned a great article about it and it is well worth the read. 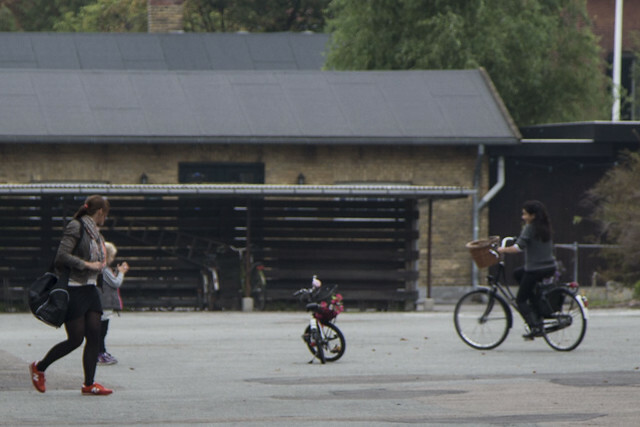 Copenhagen: The Capital of Nordic Bike Cool. It will also be in their print version. I'll let her do the talking - not least because she is a great writer - but I wanted to add some photo material to the article. I decided upon a three stage rocket for the interview. The middle stage was teaming Lisa up with an expert who could help her calm her fears. I introduced her to The Lulu. 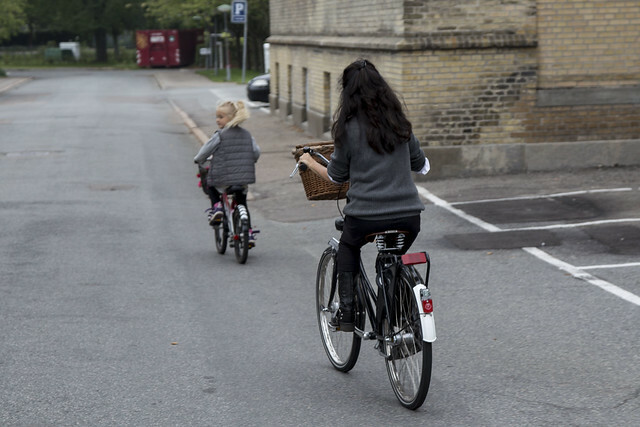 Who better than The Lulu to show how simple and easy cycling in Copenhagen can be. Lulu had just turned seven and was more than willing to help out. We started cycling around our neighbourhood, with Lulu in the lead. She was a bit shy at first, reluctant to share her knowledge and experience. After a while I decided that I was a third wheel. 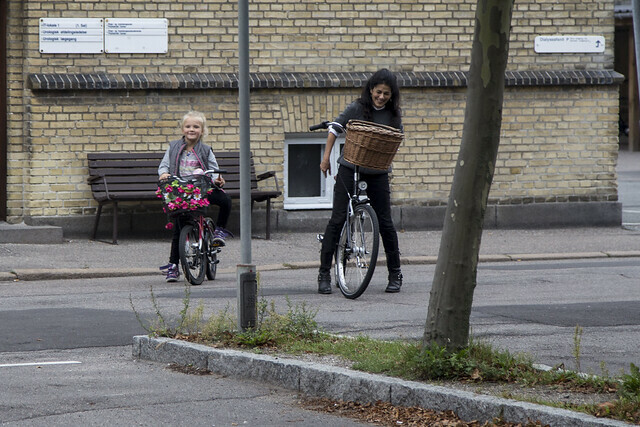 On the grounds of Frederiksberg Hospital I told Lulu to take Lisa on a ride by herself while I waited on a bench. Off they went, riding up and down the streets of the grounds. After a while, I wondered where they had gotten to. Knowing The Lulu, I guessed correctly. A parking lot where she, too, had practiced getting on and off her bike when she was at the beginning of her learning curve. I walked over and sure enough, there she was, her bike parked in the middle and Lulu acting as ringmaster as Lisa circled around her. Practicing riding with one hand. Practicing mounting the bicycle. Lulu running the show like an old pro. Read Lisa's article. It's great.